Full size bed and either a full size bunk or loft area. Queen size bed available in the larger models. The beginnings of a Tiny Home. The shell above can be purchased and finished out by the individual to suit their specific needs. Below are photo's of our Tiny Homes finished. 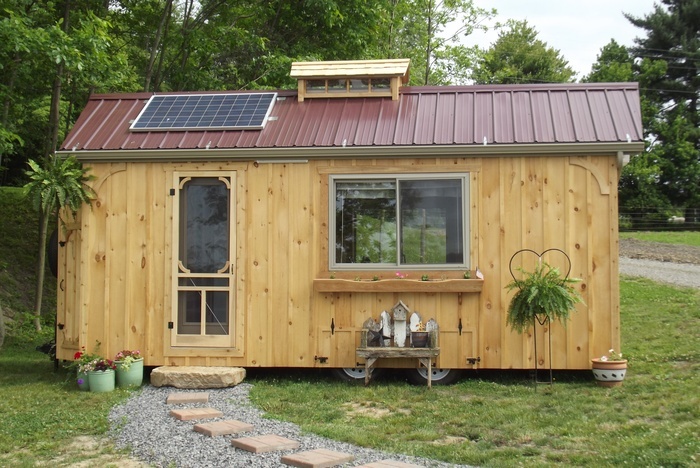 These are fully self-contained Tiny Homes and are great for the person or persons that wish to live off the grid. For over 21 years, family owned and operated Whistling Pine Homes has been building quality, hand-crafted homes in Sugarcreek and the surrounding area. 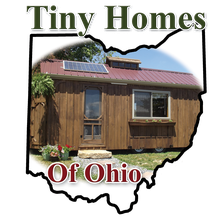 We are excited to launch our new business "Tiny Homes of Ohio"! As of May 2016 we are specializing in the unique construction of portable Tiny Homes for those that wish to downsize their lifestyles and free up time to enjoy life to it's fullest. 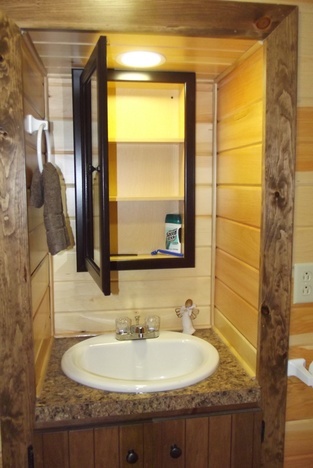 Our Tiny Homes feature fully self-contained elements that our competitors would love to learn how to do! A water supply that can be regenerated merely with the next rainfall. 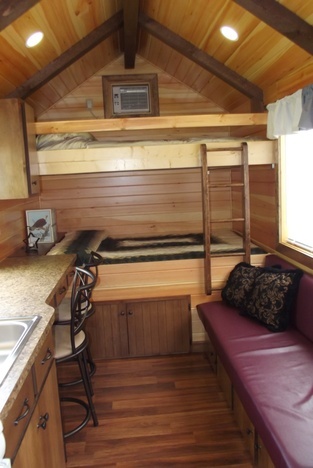 Fully equipped with a shower, kitchen, living room, bedroom and lofts our Tiny Homes offer all the amenities as well as the stylish look of a home on wheels. 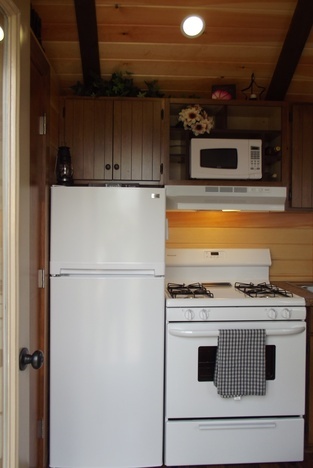 Our Tiny Homes are available in a number of sizes and styles, with hand-drawn custom floor plans. 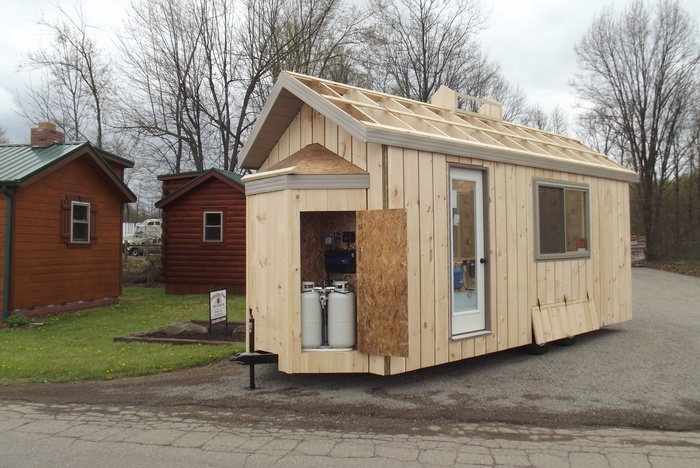 All Tiny Homes are built in our shop and then available for pick-up or delivery. Another option is the Do-It-Yourself models. These units are built as shells that you can finish out to your own liking. Norman will work with you to build the shell ready for you to finish according to the specifications you request. Protect your investment and have peace of mind. Build your future with a contractor that has 30 plus years building log homes and cabins and has brought his expertise to the Tiny Home industry. 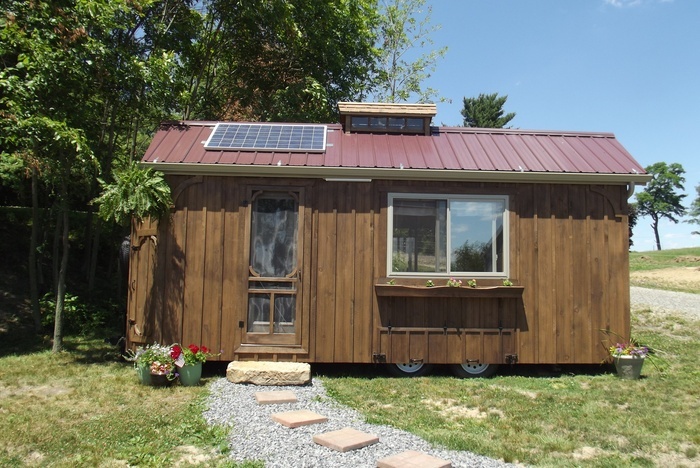 Call Tiny Homes of Ohio to learn more about designing your very own Tiny Home today.